Unipart No. Google may be your best friend here! GENUINE UNIPART ITEM. We've included a shot of the Unipart catalogue to aid you. I've tried to show this in a picture but must apologise for the quality. Boxed Unipart GSV2140. Unipart Steering & Suspension Components. Shock absorber Unipart GSA 3003. NOS. Never been used and good to go. Local pickup due to weight. Datsun 120Y, to be checked ?????? Unipart No. Google may be your best friend here! GENUINE UNIPART ITEM. We've included photos of the Unipart catalogue to assist you. Boxes are old and worn, but the part is good to go! If you're restoring or keeping an old Rover going, these are the real deal. Steering & Suspension. Fitting Position. New Vauxhall Corsa 1.2 Hatchback Z12XE Z12XEP 03-06 Centre Exhaust Pipe - GM462X.GBP 37.25 View Item. Mazda MX5 1.6 1.8 16V Cabriolet 00-05 Exhaust Centre Silencer Middle Pipe MA345P.GBP 39.45 View Item. PART NUMBER UNIPART GSJ 4686. LOCATION UNIPART 2. CITROEN RELAY FRONT LOWER LEFT OR RIGHT HAND BALL JOINT. CITROËN RELAY Bus (230P) 2.0. CITROËN RELAY Bus (230P) 1.9 TD. CITROËN RELAY Bus (230P) 2.5 D.
Thread Type: Internal Thread | Right Hand Thread. As you turn your steering wheel the wheels move freely with it. Linked to the Tie Rods are the Tie Rod Ends and they complete the steering unit. We apologise in advance for any inconvenience caused. Priced to clear. We reserve the right to restrict the number of products you may order and to refuse any order. Only when we have accepted your order is a binding contract created between us. Prices remain in force until we publish new prices on our website. Unipart No. Google may be your best friend here! GENUINE UNIPART ITEM. The rack has the part no. 94FH355C-BA and the Unipart number is GSR 829E. UNIPART GDA2025. THIS IS A QUALITY UNIPART PART AND A NOT CHEAP IMPORT. TRIUMPH ACCLAIM 1982 to 1985. HONDA QUINTET 1981 to 1984. WILL FIT RH REAR SIDE. THE COMPATIBILITY IS NOT ALWAYS 100% CORRECT. PART NUMBER UNIPART GSJ 4824. Fitting Position: Front Axle,Fitting Position: Left,Fitting Position: Right,Fitting Position: Lower. MAZDA 6 Hatchback (GG) 1.8. MAZDA 6 Hatchback (GG) 2.0. Model year to: 09.06,Fitting Position: Front Axle,Fitting Position: Left,Fitting Position: Right,Fitting Position: Lower,Quantity required: 1. Unipart No. GENUINE UNIPART ITEM. 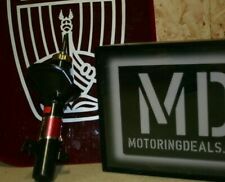 Front shock absorber for Austin/MG Maestro and Montego models. GENUINE NEW UNIPART ITEM -this item is not a refurbished part. Unipart No. Power Steering Rack - (new - not a refurbished item) - we believe this to fit Maestro/Montego models as well as Rover 200, 400 and 820 models -. 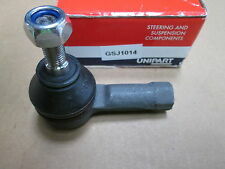 Rare New Genuine Unipart MG Rover MGF Front or Rear Hydrogas / Hydragas / Hydrolastic Suspension Knuckle Ball Joint. MG Rover Parts Numbers RGG001219EVA ( RHF100070 ). MG Rover F MGF Models From 1995 to 2002 Except the Trophy 160 Version. PART NUMBER UNIPART GSJ 5574. LOCATION UNIPART ARM 1. FORD KA (RB_) 1.6 i. Fitting Position: Front Axle, Fitting Position: Left. THIS ITEM WILL FIT THE FOLLOWING MODELS. 07.03 - 11.08. Triumph 2000 2.5 2500 Pair Of Rear Shock Absorbers. Genuine NOS. GDA1110. 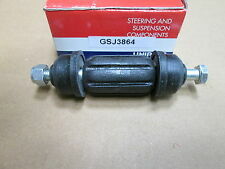 Genuine Unipart Sterling pair of rear shock absorbers. smoothly through damping range as they should, boxes however are a. washers (these are easily sourced) but shocks are in lovely order and move. Part number – GDA 1110. Unipart No. Google may be your best friend here! GENUINE UNIPART ITEM. Not sure what these are for, as we don't have a catalogue that lists them, so we're hoping you got here by searching for the part number! Unipart No. GENUINE UNIPART ITEM. Box a bit battered, but the shock is fine. Google may be your best friend here! TOYOTA MR2 2.0 04/90 - 08/98. PART FITS;. allow us to ensure that this part fits your vehicle prior to dispatching, or with any queries. We will need a full report detailing how the part has been diagnosed as faulty and without this letter we are unable to make any warranty claims. 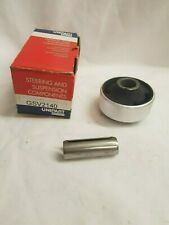 Genuine Unipart Sterling rear suspension unit / shock absorber x 1 ( I only have this one! ). Jaguar XJ6, XJ12, XJS, up to c1986?. Complete with lock ring, upper spring seat and instruction sheet. Nissan Qashqai 1.5 12/06-. Nissan Qashqai 1.6 04/09-. Nissan Qashqai 2.0 4WD 04/09-. PART FITS;. allow us to ensure that this part fits your vehicle prior to dispatching, or with any queries. We will need a full report detailing how the part has been diagnosed as faulty and without this letter we are unable to make any warranty claims. PART NO GSA972033 (RPB10022EVA). THIS IS A RIGHT HAND REAR SHOCK ABSORBER SUITABLE FOR. Unipart No. Google may be your best friend here! GENUINE UNIPART ITEM. We believe this to be a front shock for a Rover 600. If you own an old Rover, you probably know far more about it than us. Mazda 626 2.0 06/98-12/02. allow us to ensure that this part fits your vehicle prior to dispatching, or with any queries. PART FITS;. We will need a full report detailing how the part has been diagnosed as faulty and without this letter we are unable to make any warranty claims. FORD FIESTA Mk IV (JA_, JB_) 1.25 i 16V. FORD FIESTA Mk IV (JA_, JB_) 1.3 i. FORD FIESTA Mk IV (JA_, JB_) 1.4 i 16V. FORD FIESTA Mk IV (JA_, JB_) 1.6 16V Sport. FORD FIESTA Mk IV (JA_, JB_) 1.8 D. LOCATION ARM 2.